Argosy Private Equity and New Spring Capital have sold AUC Group, a provider of wastewater treatment services, to publicly traded AquaVenture Holdings for $130 million. Argosy and New Spring Capital acquired AUC Group in October 2015 from Bow River Capital. AUC Group is a provider of wastewater treatment services to municipalities and corporations primarily in the state of Texas but has completed projects in other states including Alabama, Arkansas, Arizona, California, Colorado, Indiana, Louisiana, Missouri, New Mexico, and Oklahoma. AUC’s services include design, fabrication, installation, and financing of modular wastewater treatment facilities as well as field-erected wastewater treatment plants. 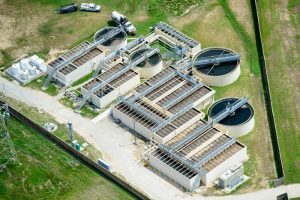 The company, founded as TEC Industries in 1970, has completed more than 1,500 wastewater treatment plants in its history, ranging in capacity from 5,000 gallons per day to over 1,500,000 gallons per day. AUC is headquartered in Houston (www.aucgrouplp.com). During the course of Argosy’s and New Spring’s ownership term, AUC built a leading position in the Texas market, expanded its business into other states, and grew its services offerings. As a result, AUC substantially grew its revenue and EBITDA during the hold period, resulting in a meaningful increase in the value of the business at exit. Argosy Private Equity invests from $5 million to $20 million in lower middle market companies that have revenues of $15 million to $100 million and EBITDA of $3 million to $9 million with EBITDA margins of 10% or greater. Sectors of interest include business services and manufacturing. Argosy Private Equity is a division of Argosy Capital Group, an investment adviser with $1.3 billion of assets under management. The firm was founded in 1990 and is headquartered in the Philadelphia suburb of Wayne, PA (www.argosycapital.com). NewSpring Capital is a provider of private equity capital through a family of funds including NewSpring Ventures, NewSpring Health, and NewSpring Mezzanine. The firm is headquartered in the Philadelphia suburb of Radnor, PA with additional offices in Baltimore and Chicago (www.newspringcapital.com). AquaVenture Holdings (NYSE: WAAS), the buyer of AUC, provides desalination and wastewater treatment services for governmental, municipal, industrial, and hospitality customers; and point-of-use filtered water systems and related services to approximately 40,000 institutional and commercial customers. The company was founded in 2006 and is headquartered in Tampa (www.aquaventure.com).